The Email service on the new servers is current and there are differences that need to be taken into consideration once the new server is live. We recommend that you setup a completely new profile on any email client that is being used. 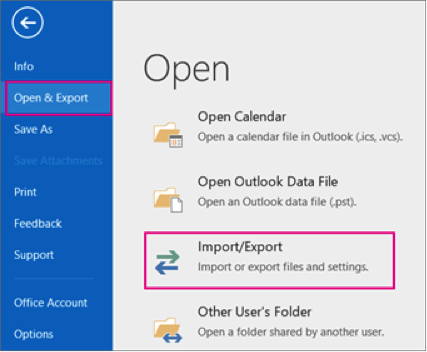 Select the name of the email account to export, as shown in the picture below. Only information for one account may be exported at a time. 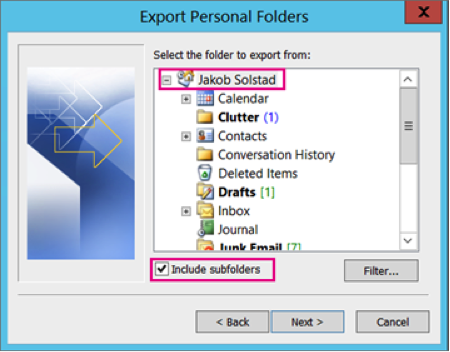 Make sure that the Include subfolders check box is selected. This way everything in the account will be exported: Calendar, Contacts, and Inbox. Choose Next. 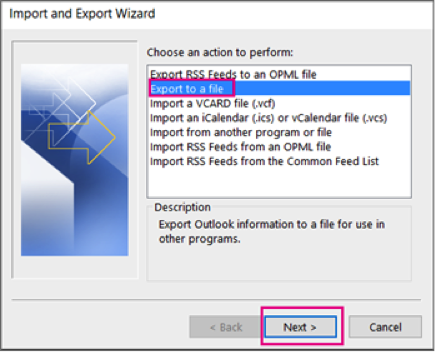 If you are exporting to an existing Outlook Data File (.pst), under Options, specify what to do when exporting items that already exist in the target file. Now that your Outlook data is in a .pst file, it's portable. For example, you can save the .pst file to OneDrive, and then download it to your new computer. Or you can save it to a USB flash drive, plug the drive into your new computer, and then import your email, contacts, and calendar to Outlook. Add the new email address using neither IMAP or POP. If you connect multiple devices / computers to an email account, IMAP is recommended since it will sync data with the server. It may be necessary to check with your IT person in case there is a restriction for any of these protocols. You'll need a variety of settings before you start, including incoming and outgoing mail server names, ports, and SSL settings. Outgoing server port (SMTP): 25 (if 25 is blocked from your ISP you can use 587. 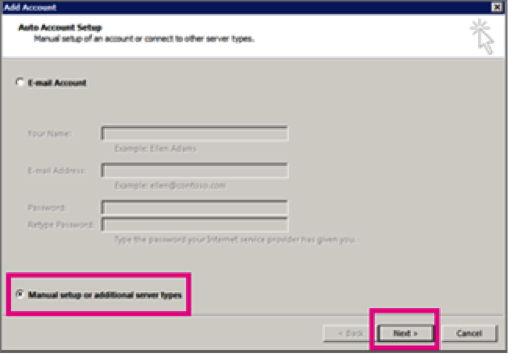 Server requires SMTP authentication, you can use the option: use same as incoming email. Choose Manual setup or additional server types > Next. Choose POP or IMAP and then Next. No SSL, requires SMTP authentication, use same as incoming. If you also have an IT person available, they should be able to assist you on setting up your email account.